Eyeliner is an important element of a thorough daily makeup routine. It frames and defines your eyes, intensifies the color of your irises and brightens the whites of your eyes, and can even make your eyelashes appears longer and thicker. However, eyeliners can also be difficult to apply and can easily appear messy and unattractive if applied incorrectly. Many eyeliners also smudge and run easily, causing you to resemble a decrepit raccoon by lunchtime. To help you out in your search for the perfect eyeliner, we’ve compiled a list of the top ten best eyeliners currently available for purchase. This liquid eyeliner from Maybelline is perfectly packaged for beginners in the realm of liquid eyeliner; it allows anyone to create sharp, precise lines and even flawless wings no matter how little experience they possess. The eyeliner is formulated with a special felt tip that evenly releases the perfect amount of liquid liner in a rich pigment in whatever shape or design you desire. This felt-tipped eyeliner is much less messy and frustrating than many other liquid eyeliners. The packaging and formulation of the liner also helps it stay fresh for longer than other liquid liners. It does not dry out over time and includes special ink technology that keeps the pigment from fading in intensity and pigmentation after extended use. This is a great eyeliners for beginners. 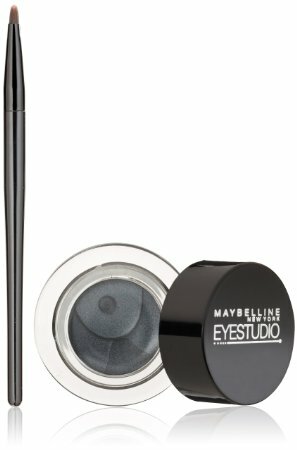 This eyeliner from Maybelline comes in a special gel formula that is highly concentrated to provide a richly pigmented line. 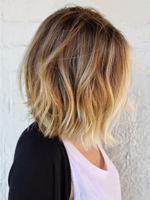 The gel is free of any oils and creates intense color that is waterproof and will not smudge, run, or fade all day long. The eyeliner is available in four rich neutral colors, including dark plum, gray, copper, and black, that are complementary for any eye color. This liner comes with an included small and sturdy rounded brush for an easy thin or dramatic application. If you like to experiment with different eyeliner formulas to create varied makeup looks, this dual-use versatile eyeliner from Mexi is the perfect choice. This product comes with a sturdy rubber-tipped liquid eyeliner pen that allows you to create dramatic lines with clear precision as well as a dry pencil eyeliner tip within the cap of the liner’s container. 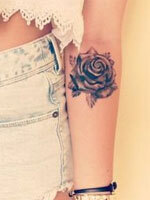 This product includes a high-quality liquid and pencil eyeliner as well as attractive packaging. 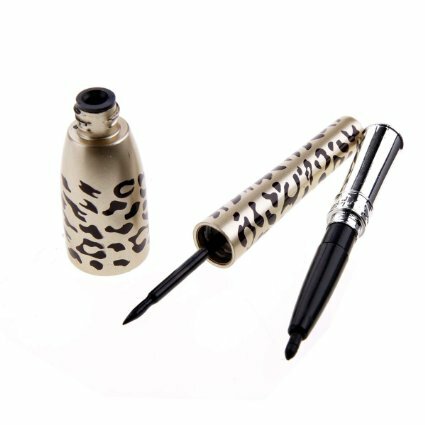 The two liner tips come in one sleek, slim tube with an all-over leopard print. The Mexi eyeliner is a great choice for those who can’t decide which eyeliner formula to purchase as well as those who frequently use multiple formulas. 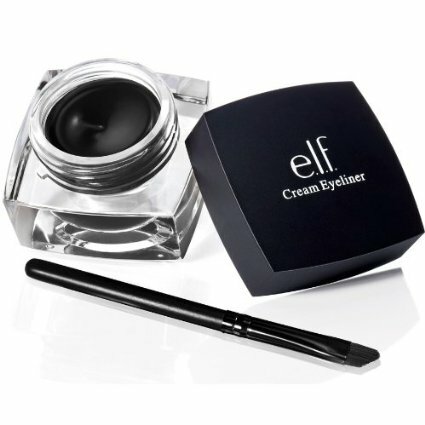 This eyeliner from e.l.f Cosmetics is available in a unique cream formula. It has a velvety finish and smoothes easily onto your eyelids without skipping or smudging. 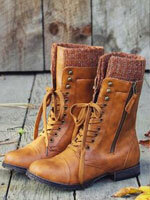 Plus, it lasts the whole day without running even when it comes up against sweat, tears, or water. The cream eyeliner comes with an included miniature angled eyeliner brush. The brush’s short handle and small size make this product easily transportable in a purse or other small bag. The soft yet sturdy slanted liner brush allows you to create precise and defined lines with any shape or thickness you desire. This liquid eyeliner is unique for a liquid formula in that it allows users to easily create precise, thinner lines as well as more dramatic or graphic looks. The liner includes a fiber tip applicator that comes to a sharp point in order to allow you to draw fine lines or thick, dramatic designs with ease and without frustration. The Prestige eyeliner is a great eyeliner for sensitive skin and eyes. It is formulated without gluten or any derivatives of gluten, GMOs, parabens, or other harsh unnatural ingredients that can be irritating or harmful to your skin. The liner lasts for twelve hours without fading, running, or budging to help you achieve long-lasting liner that defines your eyes for a flawless finish. This eyeliner from L’Oreal Paris is an excellent pencil eyeliner. It has a very creamy formula that slides onto your eyelids without skipping or causing irritating friction on your skin. The liner helps contour your eyes to create a defined and dramatic look easily. The liner is constructed with a unique cone-shaped tip to help you achieve a dramatic eye look neatly and effortlessly. It comes with an included customized eyeliner sharpener that sharpens the tip of the liner back into its cone shape so that you can continue easy application of dramatic designs after you initially wear down the tip of the liner. This eyeliner from Revlon is a great waterproof eyeliner that comes in a pencil formula that is easy to apply. The liner is long-lasting and resists against sweat and water all day long to remain intensely pigmented for up to sixteen hours without fading or smearing. The pencil eyeliner is equipped with SoftFlex Comfort Technology that allows the liner to glide onto your eyelids smoothly without irritating the delicate skin around your eyes. This liner includes a special sharpener that is built into the bottom of the tube to ensure that you never lose it and always have it with you to sharpen your eyeliner wherever you go. This eyeliner from L’Oreal Paris is a long-lasting gel eyeliner formula with a unique lacquer finish. The liner can last up to twenty-four hours on your eyes without budging from the place where you first applied it. The eyeliner’s lacquer finish gives it a special glossy, high-shine appearance after you apply it. The lacquer eyeliner is available in four dark, complementary neutral colors. 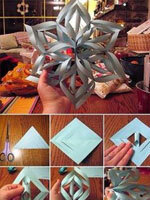 These colors include dark brown, bronze, black, navy blue, and dark gray. This L’Oreal Paris eyeliner is tested by ophthalmologists and has been deemed suitable specifically for those who wear contact lenses or have sensitive eyes that are often irritated by similar products. This is a great eyeliner for brown eyes! This eyeliner from NYX comes in a unique mechanical pencil formula. It is extremely long-lasting and easy to apply and blend without frustration. The thin pointed tip of the liner allows you to apply fine lines effortlessly or amp up your look with thicker, more dramatic lines. The NYX liner comes in a wide variety of colors that range from classic neutrals like black and bronze to bright shades of turquoise and pink that can add a fun and unexpected pop of color to any look. This liner has an extremely creamy formula that moisturizes your skin after it is applied. This eyeliner from stila is a top-quality liquid eyeliner. It is a great waterproof eyeliner that is incredibly long-lasting and resistant. The liner glides on smoothly without skipping but it quickly dries to a smudge-proof finish that will not run or feather all day long no matter how much you sweat or rub. Unlike many other liquid liner formulas, this liquid eyeliner comes in fifteen different colors that range from black to gold to bright blue. These colors combined with the easy felt-tip application of the liner allows you to create a countless range of versatile liner looks using only one product. This is one of the best waterproof eyeliner pencil for waterline. Good eyeliner that is easy to apply can be difficult to find. 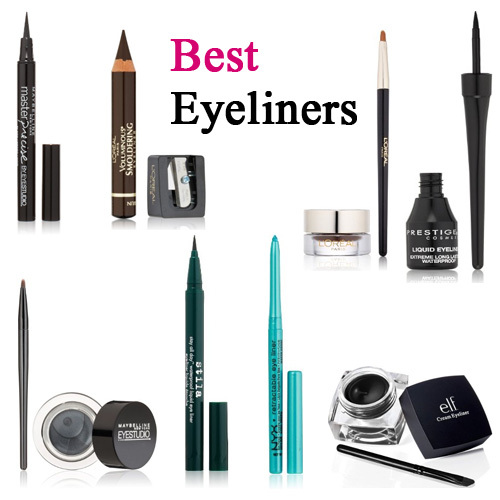 The next time you’re in the market for a new liner to try, look no further than this list to discover the top ten best eyeliners on the market.